San Francisco knows how to throw a party, and we do that regularly at street fairs, huge annual events, holiday happenings and more. So, when you need to host your own, the city is a great place to be. We rounded up a handful of our favorite restaurants, bars, lounges and clubs in San Francisco where you can host dinner and cocktail parties for the holidays, for your birthday, for corporate events, or just to celebrate a regular Tuesday. The venues are listed in order by max capacity, but keep in mind that many of the venues—even the largest—offer special rooms and areas with capacities suited for small gatherings. Often referred to as “the greatest beer hall ever”, Mikkeller Bar is an industrial-cool bar that offers rare brews on tap and more than 100 bottled beers from around the world alongside upscale pub grub. In the private cellar room, they’ll host your intimate party or private event and can even put together a structured beer tasting. 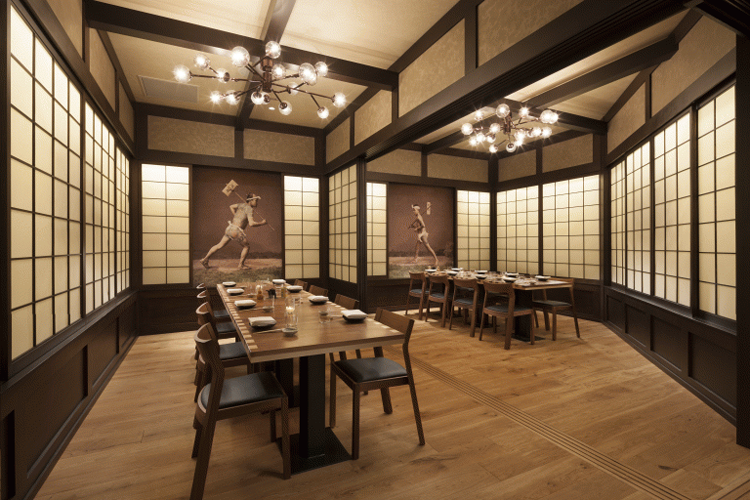 In partnership with Michael Mina and Mina Group, Ken Tominaga, of the famed Hana Japanese Restaurant in Sonoma County, has brought traditional Izakaya-style dining to San Francisco. His modern take on Japanese cuisine includes award-winning sushi and sashimi, fresh tofu, tempura and so much more. For private events, individual rooms and private rooms are available with a maximum seated capacity of 22 and larger standing capacities. Over the course of nearly a century, the back room of this North Beach icon played host to San Francisco’s most famous artists, writers, directors, musicians, dancers, personalities and celebrities. Now, that same back room is available to rent for seated dinner parties of up to 22 guests and cocktail parties with up to 35. And, to recapture the exclusivity of the famous back room, they also offer the VIP Chef’s Room available to rent for up to 12 people. From the team behind Smuggler’s Cove and Novela, Whitechapel offers a cocktail menu of concoctions you’ve never heard of with crafted comfort food meals you’ll find yourself craving long after your visit. But that’s not all! This underground bar was named on our blog post, 7 Beautifully Designed Restaurants in San Francisco + What to Order at Each. So while you’re sipping one of the best gin cocktails you’ve ever tasted, you’ll be doing it amongst jaw-dropping decor, too. Private events are available in two distinct spaces—The Gin Palace or The Distillery—and complete buyouts are also available. Located in Nob Hill, PCH is a welcoming neighborhood bar that serves locally inspired cocktails suited for every palette. Presented as “the happy space between work and home,” its cozy, dimly lit and rustic atmosphere is ideal for small gatherings—especially if your guests like craft cocktails. A full buyout of PCH will allow for 50 guests at one time or 70 on a flow. Housed inside a converted warehouse, Trick Dog is an unpretentious cocktail bar offering world-class beverages. In fact, their menus have snagged the Tales of the Cocktail Spirited award for the world’s best, and that’s not just because of the drinks. Every six months, the team releases a new menu and each time it looks like anything but a cocktail menu. Past examples include a kid’s book called What Rhymes with Trick Dog?, paint swatch books and Chinese restaurant menus. 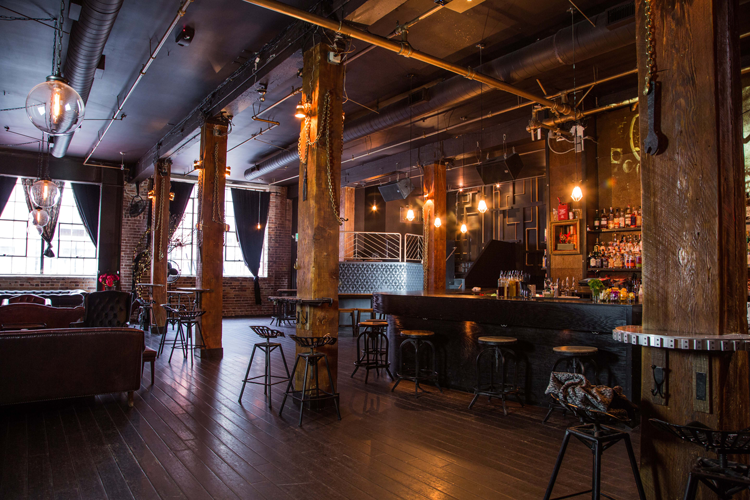 Private events are offered in The Mezzanine, The Upstairs, which has its own entrance, and a full bar buyout. 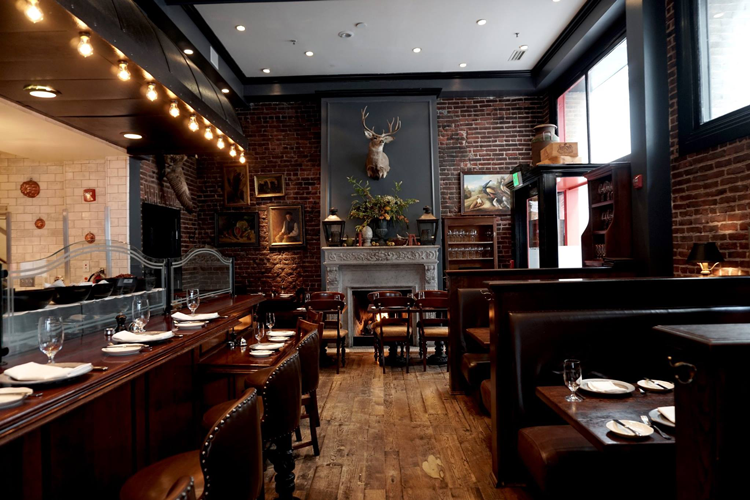 Wayfare Tavern is a timeless San Francisco tavern serving authentic American dishes inspired by local cuisine and the turn of the 20th century. With three unique dining rooms, they can turn any private event into an unforgettable occasion. The Bartlett Room is their largest seating space, but we especially love The Billiards Room for its cozy, living room-style atmosphere. And above the Wayfare Tavern on the fourth floor, you’ll find The Sequoia offering a blend of 1920s design, 1940s film noir, plenty of San Francisco history and an incredible FiDi view. Inspired by Winston Churchill himself and the history of World War II, Churchill is one of the best bars in San Francisco serving up artfully crafted, inventive cocktails. 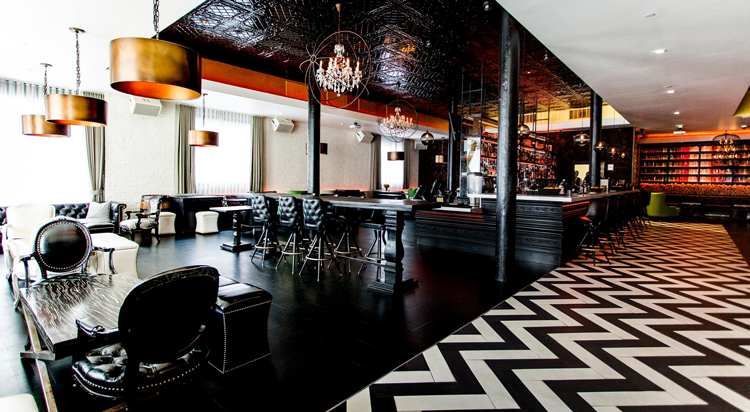 Their event space, The Office is located above the main bar and offers a private event space with a beautifully handcrafted interior, a full bar, a private entrance, bathrooms and a kitchen. Guests can enjoy the classic shuffleboard, three TVs, a projector and a state of the art surround-sound system for entertainment. Located inside Hotel Zeppelin, Rambler is a modern California restaurant with a light-hearted vibe and four completely unique event spaces. Each one features the incredible cocktails and food available at Rambler and themes in Peace, Love, Soul and The Mantel Bar incorporate everything from the funky and psychedelic to the cozy living room hearth. To preview each one, click here. Putt putt golf isn’t just for kids anymore. Urban Putt is the city’s first and only indoor miniature golf course. The Mission District facility offers a fantastical and high-tech 14-hole mini-golf course as well as a full-service restaurant and bar that offers a menu of upscale foods crafted using organic and locally-sourced ingredients. Private parties are available for both kids and adults and include options like daytime buyouts, evening buyouts, game room and loft room parties, dining room parties and more. For more information on all their spaces and the amenities offered, click here. Of all the speakeasies in the Bay Area, Bourbon & Branch is probably the most renown, but it still somehow manages to maintain a sense of exclusivity. Inside the already covert bar, there are even more hidden rooms with completely different menus and their own passwords. The Library and The Main Bar are the most accessible, but if you explore a bit further, you’ll find Russell’s Room, Wilson & Wilson and The Ipswitch. The easiest way to get guaranteed access to these areas is to book a private party; you can even book a full buyout for upwards of 175 guests! Bergerac is the sister venue of The Dorian—a much larger and more well-known venue space—but we love the look and feel of the darker, cozier Bergerac. Equal parts craft cocktail bar and impromptu house party, it makes sense that the inspiration for this space would come from the Rolling Stones, and specifically from their time spent recording “Exile on Main Street” inside France’s legendary Villa Nellcôte. Private events are available for parties of 15 guests and all the way up to 200 for a full buyout. Mr. Smith’s is a three-level bar, lounge and nightclub suited for an amazing night out on the town or a fantastic private event hosted in The VIP Room. This semi-private mezzanine is located on the third level and overlooks the main bar. Though it’s always available for business happy hours or private events, you can also rent out the whole space and get your own private bartender during the weekend. If you’re looking for space for a larger event, look into booking the entire main level, and you can even book the basement dance floor during the week. From the same team behind Smuggler’s Cove and Whitechapel, Novela is a book-themed bar where classic literary references are present on the cocktail list and even in the interior design. Their book collection lines the walls and is organized beautifully by color. The food and drink menu includes small bites, craft cocktails, beer, wine and Novela’s famous alcoholic punch on tap. To preview all their separate event spaces, click here, and be sure to tag #cocktailswithcharacter when you post photos from your event on social media! This 1920s flapper-inspired bar, lounge and event space is located in the heart of North Beach and offers a 3,000-square-foot venue as well as an outdoor patio. Their various event areas—both semi-private and private—can accommodate anywhere from six guests to more than 300. In addition to the full-service team and the inventive cocktail list, the glamorous setting and decor make for a unique party suitable for any occasion. Inspired by the gritty history of its home neighborhood, Hawthorn is nestled in a beautiful brick basement accented by Austrian drapes, deep purple ceiling swathes and lounge seating in the front room. The Bonaparte Room offers a more secluded experience in the back of the venue and features classic decor inspired by the glamor of 1930s Hollywood and a smaller capacity of 75 guests. Located on the second floor of a building right around the corner from AT&T Park, Alchemist offers a steampunk-inspired speakeasy vibe that pairs dive bar sensibilities with an impressive house cocktail menu that utilizes a collection of herbs, tinctures, house-made infusions and handcrafted syrups. Booking a private event here means you buy out the entire bar, and events larger than 250 guests can also rent out the ground floor bar, Woodbury. This now international business began humbly in New York and quickly exploded in popularity. The team now has venues in Chicago, San Francisco, Toronto, Philadelphia, Seattle and Austin. 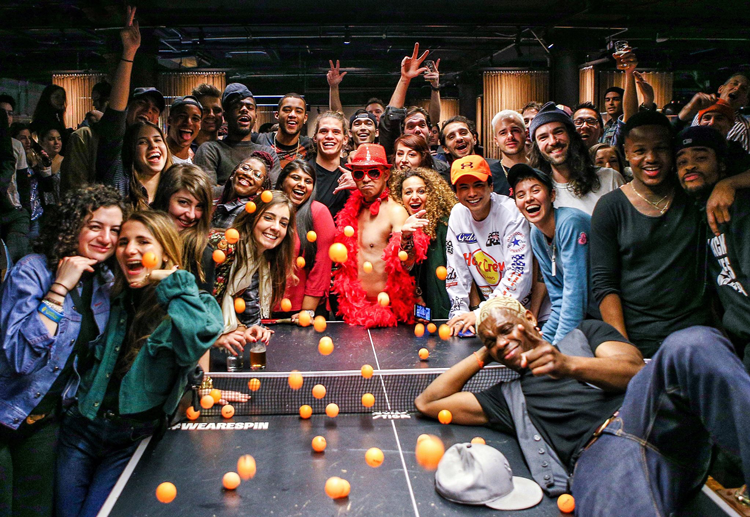 The reason SPIN is so popular is simple; they’ve combined an upscale bar experience with ping pong. At the San Francisco location, vintage decor, gourmet eats, artisan cocktails and world-class ping pong combine to create a truly one-of-a-kind venue with two play areas, three separated courts, the main bar and a full kitchen. Press Club is a unique wine bar and lounge located at the foot of the Four Seasons Hotel in Downtown San Francisco. In addition to wines and small plates offered daily the team hosts a variety of live DJ sets, band performances and dance parties each month. If a private event is more your speed, their design award-winning event spaces cover a total of 9,000 square feet and offer areas suitable for everything from sit-down dinners for 20 to gala affairs for more than 500. This San Francisco nightclub was founded by Drag Queen legends D’Arcy Drollinger and Heklina and has since earned mentions, awards and accolades in every entertainment and nightlife category. When you’re not coming for a drag show or a DJ set that’s already on the calendar, you can book a private event in every size from 10 guests to 750. Let us know where you host your cocktail parties in San Francisco—even if it’s not on our list! Which San Francisco Neighborhood is Right For You?